Feng Shui Elements, What are they? How many kinds are there? Feng Shui Elements, what are they and how many kinds are there? From the moment we were born; in term of Feng Shui each of us carry two Feng Shui elements for the whole life. These Feng Shui elements do not include the Day Master element. The Day Master element is for Chinese Astrology Bazi reading or Four Pillars of destiny predictions. 1) The Gua number element. 2) The Melodic Feng Shui elements. 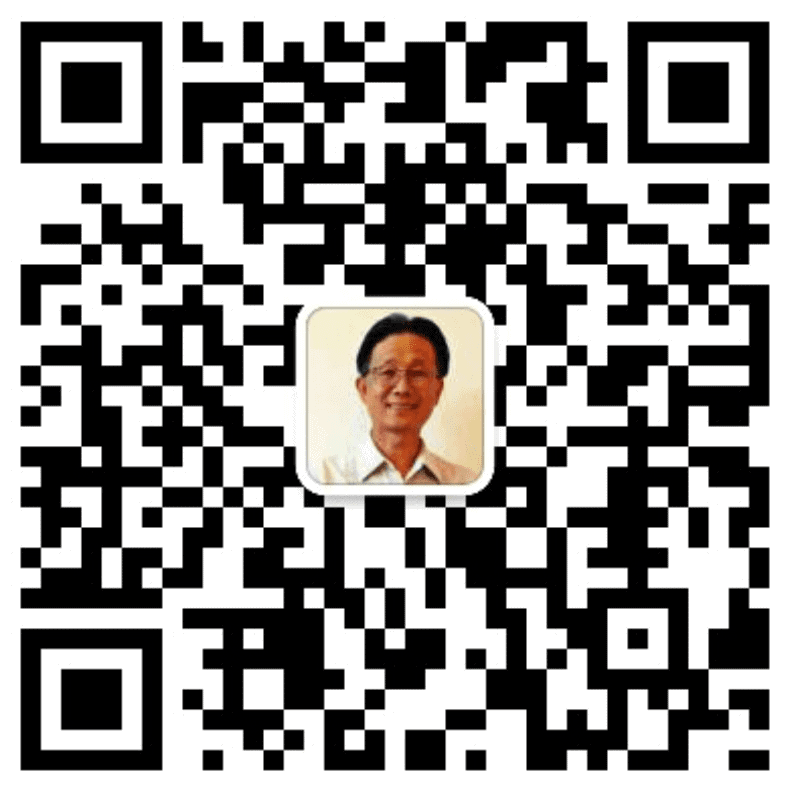 Both Feng Shui Elements are calculated using the birth years. The Gua number is for working out someone’s favourable direction to sit. Some Feng Shui Masters use the Gua number to work out the favourable sitting of a house for their clients. Some Feng Shui Masters use the Gua number to work out the compatibility level for husband and wife. Some Feng Shui Masters incorporate the Gua number with Flying Stars School of Feng Shui to work out the best area to sleep. There are a few different applications by using the Gua number from various Feng Shui Masters. It is really depends on different schools of Feng Shui. From my learnings, nowadays, the Gua number is not the first priority in Feng Shui. The Forms in Feng Shui is the first layer and is the important layer in many layers of Feng Shui. The Gua number relates to health. It does not relate to wealth. If you want to activate the wealth sector, you don’t activate the favourable direction of your Gua number. On the other hand, the Melodic Feng Shui elements has two applications. It can be used for both sitting and facing. The bed placement to incorporate with Melodic Feng Shui elements I use it a lots, particularly, when someone wants to speed up fertility. Interestingly, to apply this bed sitting formula, the Husband’s Melodic Feng Shui element is used in the equation, not the wife’s. To work out the Melodic Element, a birth year is needed. In the early days, a Grand Feng Shui Master required his students to memorize the Melodic elements by heart. There are 60 sets of stems and branches and each stem and branch carry a Melodic Feng Shui Element. There is a pattern on these 60 sets of stems and branches. Today, data storage is so easy. Most of the Feng Shui consultants just take a smartphone to their consultations. No need to go through the hard way to memorize the order of the Melodic elements. But what happen if your phone is out of battery and forgot your paper folder. And right then you need to give the formula on the spot. Is there a good way to remember the melodic elements order? Yes for sure. you can embed the stems, branches and the elements on to your hand and finger segments so you will never forget it. Here is the method. 1. Open your hand, thumb and fingers. 3. For the index and ring finger, we use the top and bottom segments. The middle finger uses the top segment. 4. Mark the number as per the following picture. 5. Mark the bottom segment of the ring finger as Yang Yin Wood (甲乙) and the number is 1. 6. Mark the bottom segment of the index finger as Yang Yin Fire (丙 丁) and the number is 2. 7. Mark the top segment of the index finger as Yang Yin Earth (戊己) and the number is 3. 8. Mark the top segment of the middle finger as Yang Yin Metal (庚辛) and the number is 4. 9. 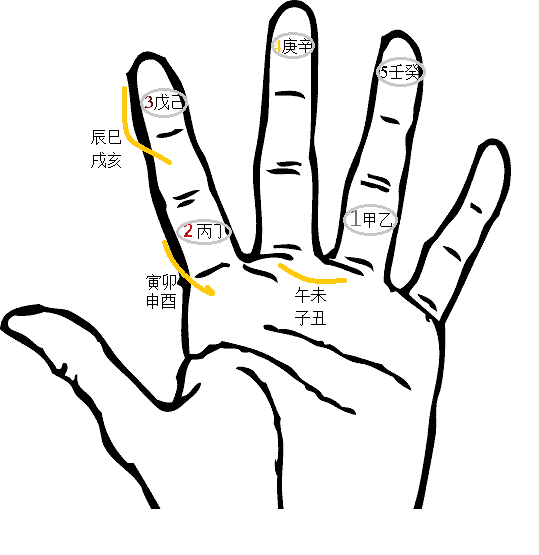 Market the top segment of the ring finger as Yang Yin Water (壬癸) and the number is 5. 1. Assign the Rat, OX, Horse and Goat as 1. 2. Assign the Tiger, Rabbit, Monkey and Rooster as 2. 3. Assign the Dragon, Snake, Dog and Pig as 3. Now, you need to embed all these figures onto your finger segments, and then we can calculate the melodic Feng Shui elements using a very simple equation. Stay tune… the second part is coming soon.